Vaccines are available that can help prevent pneumococcal disease, in layman’s terms pneumonia, which is any type of infection caused by Streptococcus pneumoniae bacteria. There are two kinds of pneumococcal vaccines available in the United States. Pneumococcal conjugate vaccine and Pneumococcal polysaccharide vaccine. Pneumococcal disease is common in young children, but older adults are at greatest risk of serious pneumococcal infections and even death. CDC recommends vaccination with the pneumococcal conjugate vaccine for all babies and children younger than 2 years old, all adults 65 years or older, and people 2 years through 64 years old who are at increased risk for pneumococcal disease due to certain medical conditions. Below is more information about the vaccines. This vaccine is given in a three-dose primary series starting at 2 months of age plus one booster dose at 12 through 15 months of age. Children who begin vaccination after 6 months of age will receive fewer doses. Adults who are recommended to receive it only need a single dose. The vaccine helps protect against the 13 types of pneumococcal bacteria that are the most common causes of serious infections in children and adults. It can also help prevent some ear infections. All babies and children younger than 2 years old and all adults 65 years or older should have this vaccine. Adults 65 and older need the “just one and done” dose of Prevnar 13. All adults 65 years or older, people 2 through 64 years old who are at increased risk for disease due to certain conditions, all adults 19 through 64 years old who smoke cigarettes should get this vaccine. People who have a mild illness, such as a cold, can probably get the vaccine. People who are moderately or severely ill should probably wait until they recover. Your or your child’s healthcare professional can advise you. There is no evidence on the safety of PCV13 use during pregnancy. As a precaution, women who need the vaccine should be vaccinated before becoming pregnant, if possible. The Meigs County Health Department offers these vaccines. Immunization clinics are offered every Tuesday from 9-11 a.m. and 1-3 p.m., other days by appointment. Bring your shot record and insurance card. Call 740-992-6626 with questions or for appointments. 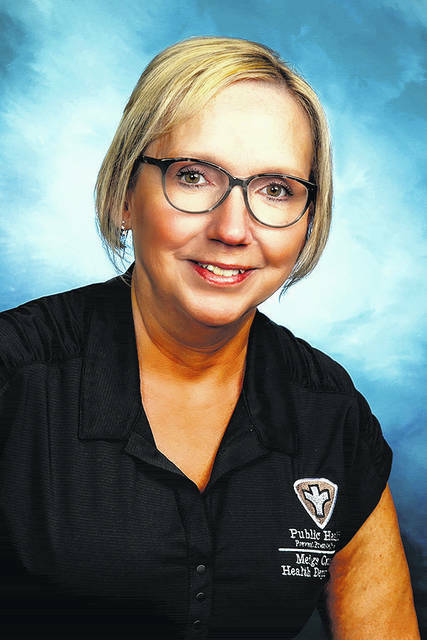 Sherry Hayman, RN, is a Public Health Nurse at the Meigs County Health Department.